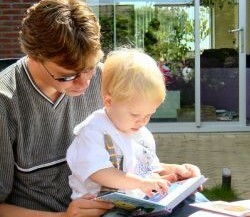 Help with getting your children to read. Fun making objects to support your storytelling. We think you’ll love it – have a look at our Story Sacks Project page for more details about the events starting in May 2011. Ifeoma Onyefulu is a children’s author, photographer and writer from Nigeria. Currently living in London, Ifeoma travels widely, particularly in Africa, to get ideas and stimulation for the writing of her books. Using her photographic skills, Ifeoma creates wonderfully illustrated stories for children, which echo the landscapes and cultures that she has travelled through. 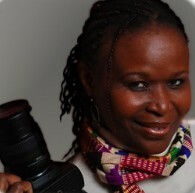 Ifeoma travels with her children and her camera. Her photo-stories shine a light on the people she meets and offer us the reader, a great insight into other cultures, countries and people. Jorge Luis Borge – Argentine writer, poet and essayist. These are the new web pages for the Community Library at Marham designed to stimulate your interest in good writing and to help the imaginations of the younger members of our community to grow. Whether you like new fiction, old favourites or your children are passionate about great stories, meeting authors or finding new picture books – we will feature them all here on our pages. We will have our regular features too. Sam’s Selection – what’s interesting at the moment in our library. Our featured author post, as well as news of library events around and about in the County. Of course, we won’t forget parent and carer reading and intend to feature some great web links to help you and your family become a ‘reading family’ too. We are moving some of our furniture and books to make for a more accessible space in the library. Watch these pages for news of new projects and events around books and family reading.